In Japan it’s completely normal to work 60 hours a week. Arguably, this culture of assiduousness has been around for centuries, but it seems to have become more accentuated since the end of WW2. At that time then-Prime Minister Shigeru Yoshida encouraged Japan’s companies to reward long hours in order to reboot the nation’s economy. And decades later, and this culture of hard work and stoicism still holds sway. 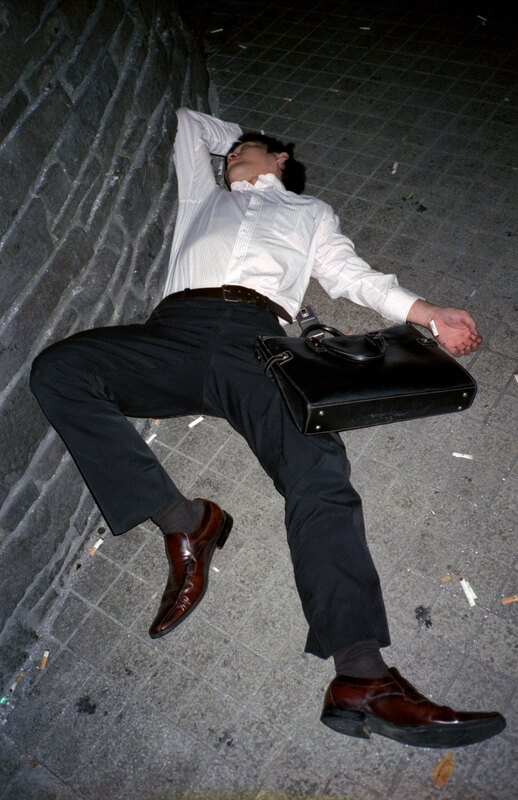 Today, the work ethic of the average salaryman is unhealthy, bordering on dangerous. The country is currently facing an uptick of heart failures and suicide, which has instigated a number of governmental efforts to encourage people to take time off. 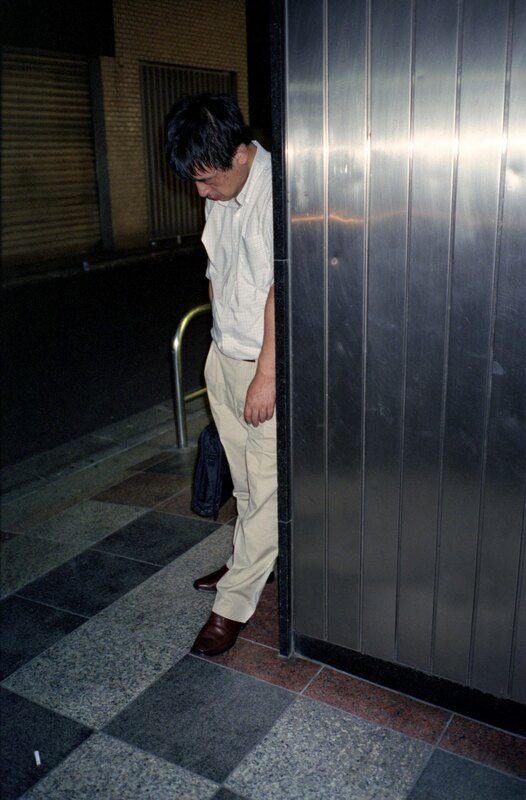 Still, you don’t have to look far to see the effects of overwork on Japan’s corporate employees. As photographer Pawel Jaszczuk has found, it’s just a matter of walking the streets after hours. Originally from Poland, Pawel lived in Toyko for many years, where he collected photos of exhausted workers asleep on the streets. 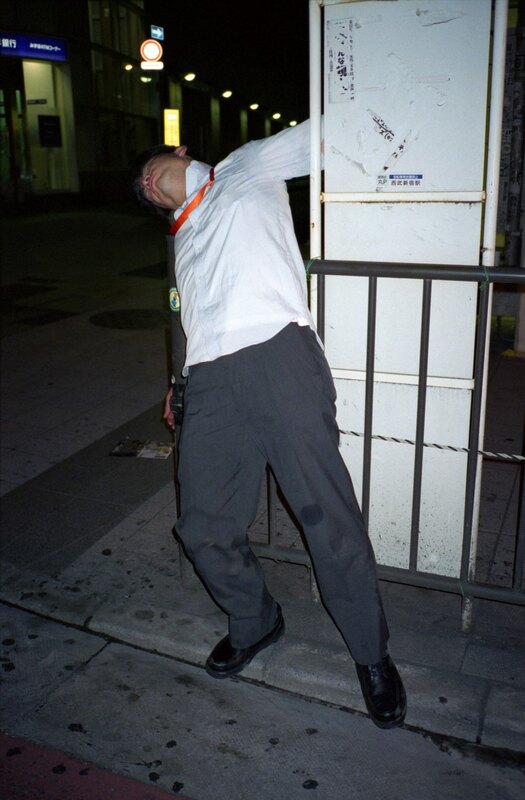 Speaking to VICE, he explained his thesis behind the photos, and told us how Japanese locals have responded to his somewhat predatory hobby. VICE: Hey Pawel, I’ve been wondering how many of these people are asleep because they’re tired and how many are asleep becaise they’re drunk. How did you know what you were capturing? Pawel Jaszczuk: Well I was never 100 percent sure. Some of them have probably had a few drinks, but most of them were so tired they just fell asleep. How do you think these guys would respond to seeing the images of them passed out on the ground? I keep asking myself that too, and honestly I have no idea. My idea isn’t to disrespect anyone. I want them to know that I’m fighting with them. Maybe it’s a good thing that there was such a gap between when the photos were taken and when they were published. It was probably the right timing—some of them may have grown up, or moved away. I took the photos between 2008 and 2010, but we published the book in 2018. 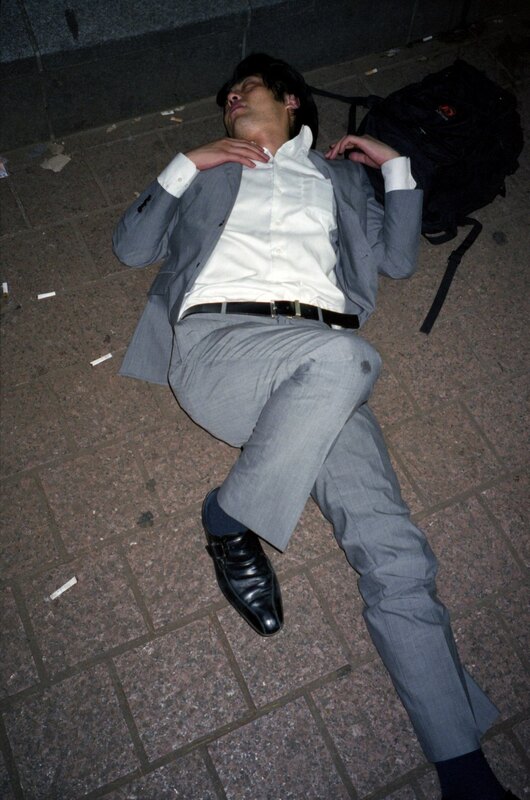 If you go to Japan, it’s very common to see businessmen sleeping on the streets, often near the main train stations. It’s nothing new. But I wanted my project to be special, so it took me around two years to find my “models.” I rode my bike around almost every night. The best days were Thursdays and Saturdays. I was looking very carefully, because I wanted nice, good looking salarymen in interesting poses. Why did you chose to take and format the photographs to resemble a fashion editorial, with the title “High Fashion”? I want to shake my viewer. I want to provoke them to think more about what was going on in society. 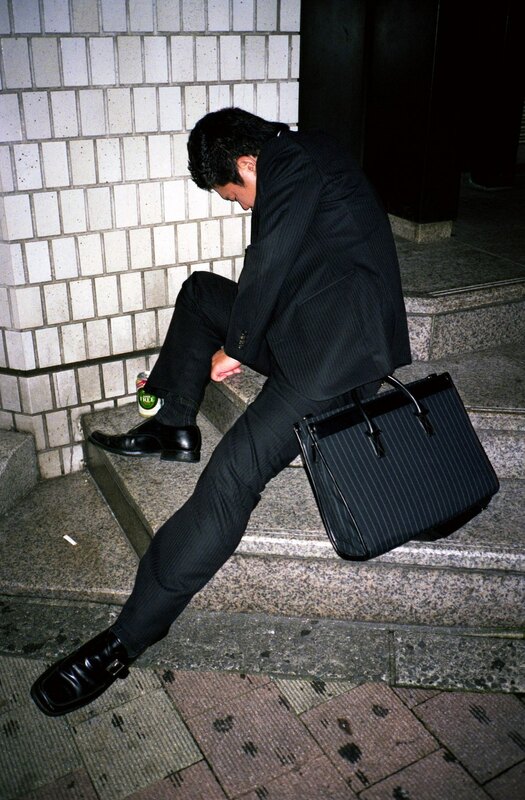 Even though the salaryman is very closely associated with Tokyo, the images reveal more about how we’re being used on a daily basis by corporations and capitalist systems. I want people to view the photos and think, do we really want to end up like this? Are we just being used? Have you observed a difference between how Western audiences have responded to this series compared to Japanese audiences? Overall, I got a very positive response in Japan and I think the message was well received. My photos are just an example of how things are in Japan. In Japanese culture you are just nobody. You could work hard, and then the next day you’d get fired. It’s almost an obligation that at night time you go out with your boss or colleagues. Then the next day you’re back to work, and there’s that distance between everyone again. They behave more like machines, rather than humans. My Japanese audiences didn’t get offended at all—they understand what I’m doing and they support me. My Japanese wife, for example, even if she sees these people on the street every day, she never really thinks much about it. It’s just there, and part of daily life. It’s a different point of view, compared to Western audiences who feel it raises more questions. 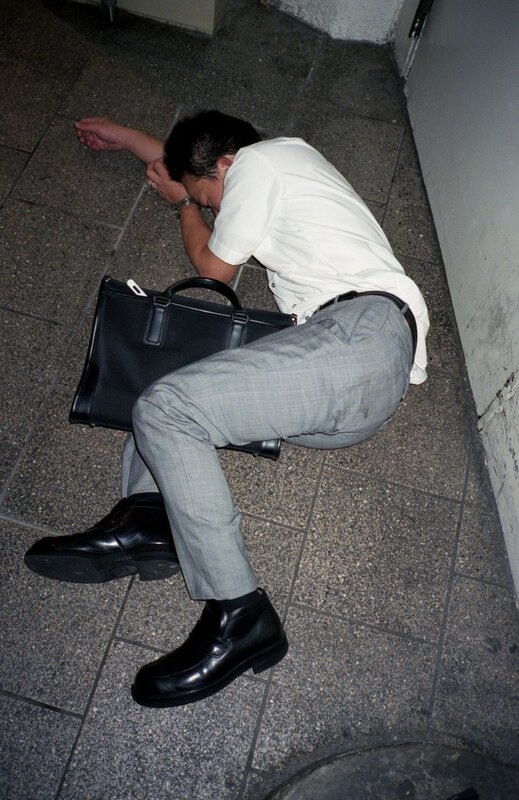 It’s socially acceptable in Japan to fall asleep on the street. Robbery is very rare, and it feels very safe. Anywhere else, sleeping on the street would be unacceptable and dangerous but Tokyo is a different planet. The rules are completely out of this world. In the last few years, Japan has implemented regulations around working hours, including the “Work Style Reform Law.” Have you noticed any shift in culture since? A lot of the major changes aren’t in action yet, but it’s good they want to do something. At least people are starting to talk about it. The Prime Minister for example comes from a very rich family—he has no idea what work is. These new changes might just be a bit of propaganda, but I don’t think anything has really gotten better yet. What do you think has facilitated this intense working environment, that’s so exclusive to Japanese culture? From what I’ve gathered from my research and living there, it comes down to history. After the US destroyed Hiroshima and Nagasaki, Japan borrowed money and in less than 20 years, became one of the largest economies on the planet. And I think this hard working culture has just stuck. Finally, I’m curious about how you personally view the ethics of photographing unconscious people. In your mind, how is this not a bit predatory? Well even though these pictures were taken in public spaces, I guess it’s still a bit predatory. I think photography is always a bit predatory, but that’s not an excuse. This phenomenon is so common that Japanese people get used to it. My images have created a discussion among Japanese citizens and I think that’s a good thing. Something is wrong, and Japanese people are no longer quiet about it.